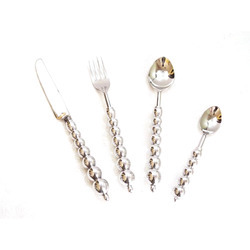 Our range of products include handforged steel flatware, handmade flatware, aluminum flatware, aluminum cutlery set, brass spoon set and small knife set. 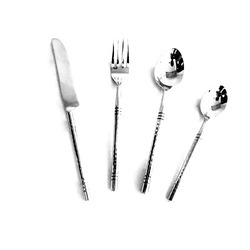 We are leading manufacturer and exporter of superior quality Handforged Steel Flatware. 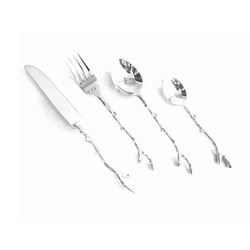 We are leading manufacturer and exporter of superior quality Handmade Flatware. 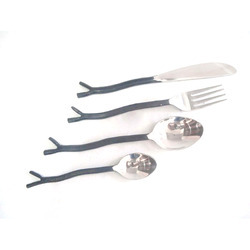 We are leading manufacturer and exporter of superior quality Aluminum Flatware. 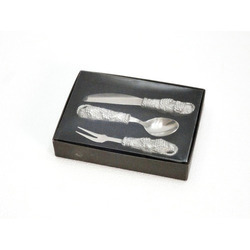 Enjoy the convenience of corrosion free Aluminum Cutlery Set at nominal market prices. To offer maximum level of customer satisfaction, we manufacture these products using finest quality aluminum and cutting-edge technology in the compliance with industry set parameters. Offered products are known among the clients for their fine finish, polished look, light weight and elegant design. 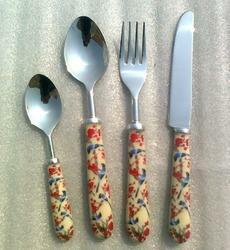 These cutlery sets are demanded in domestic kitchens, restaurants, food courts and industrial canteens. 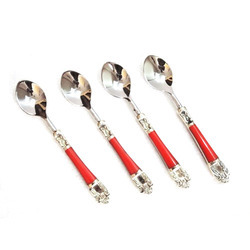 We are instrumental in manufacturing and exporting premium quality Brass Spoon Set. These sets are precisely manufactured under the supervision of our team of qualified professionals, using good quality metal. 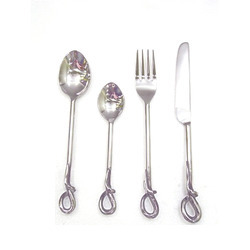 Offered spoon sets are highly resistant to heat and corrosion. 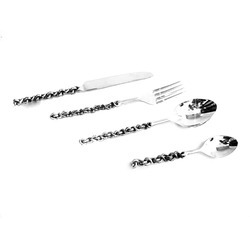 Due to their exclusive design, shiny finish and light weight, these spoon sets are widely demanded among our clients. Our offered sets find their application in official canteens, domestic kitchens and restaurants. 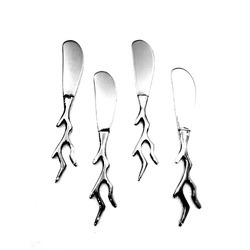 Our organization is counted among the most prominent manufacturers and exporters of high quality Small Knife Set. We manufacture these knife sets in the compliance with industry decided quality parameters, using advanced machinery. Owing to their unmatched quality, offered sets are widely appreciated among the clients. To attain maximum level of customer satisfaction, we pass these sets by various number of quality checks. We are offering corrosion resistant Brass Fork Set to our esteemed clients. 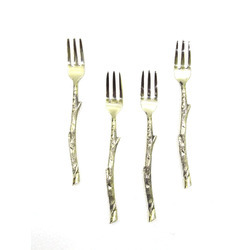 Sourced from trustworthy vendors, we use best quality brass metals in the manufacturing of these fork sets. Offered set are widely appreciated among the clients for their mirror-shine finish and long service life. Our light weight forks are known for their corrosion resistant handle.